I just booked my flight to Cancun for the first nine days of August. Where am I going? I don’t know! I haven’t figured it out yet. I know I’m not going to Isla Mujeres. And I’m not going to Playa del Carmen…or Merida. Well, that leaves the rest of the Yucatan. It’s been almost a year and a half since I’ve been to Mexico and I miss it so much. Due to a promotion at work, I’ve been slaving away, but longingly look at my Mexico photos that I’ve set up as a screensaver on my computer. I’m thinking of Tulum, the ruins of Ek Balam, Coba and/or Uxmal. Of course, I’m going at the hottest time of the year. Oh, well…I’ll bring along some extra towels. Where should I go? This entry was posted on July 4, 2012 by EditorDeb. It was filed under Uncategorized . That’s great! No matter where you go, I know you will enjoy yourself! How about Vallodolid? I’d like to go to Felipe Carillo Puerto ( where our student goes to college)–t’s a 5 hr bus trip & not much there! Izamal, the photographer’s paradise! Lots of cenotes around to cool off. You ARE brave to go back in August! 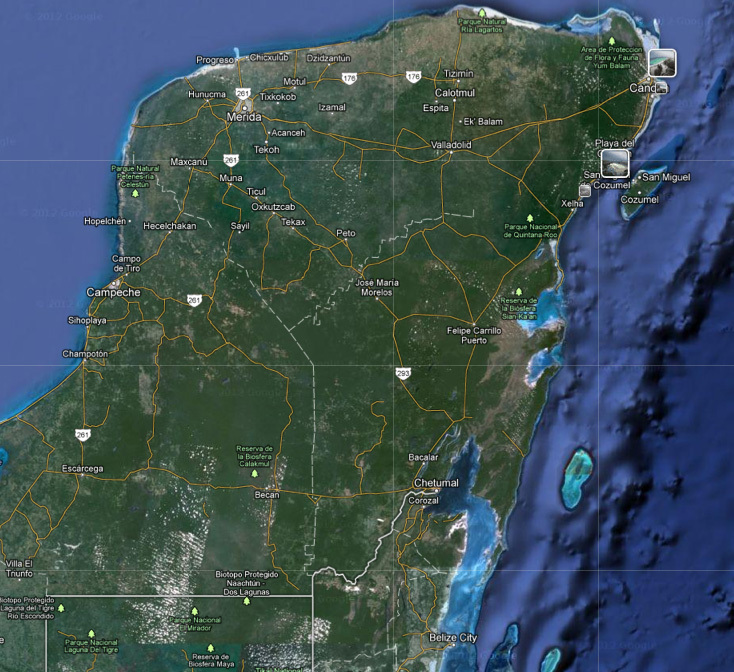 Maybe only stay in central Yucatan for a couple of days and head back to the coast. Tulum is GORGEOUS and I guess everywhere in the Yucatan is going to be hot. But on the coast you may catch a breeze. So good to see your blog again. I still that that colorful picture of the Isla shoreline as my screensaver and so many people have commented on it. Its the iconic picture of Isla for me. How about Progresso, Uxmal or Chetumal. Ann – I spent a night in Valladolid in December of 2009 when I visited Chichen Itza. I actually might go back this time if I decide to visit Ek Balam. Helen – I googled Izamal, and it truly IS the Yellow City! You’re right…it would be a photographer’s paradise. I will definitely keep it on my list if I get that far into the Yucatan. Chuck – Progreso has been on my list for awhile, but I think I would want to fly into Merida so that I don’t have the long bus ride across the Yucatan. I will save that for a future trip. I would also like to get to Chetumal but that is pretty far south. So much to choose from and so little time! Uxmal is definitely on my list and am thinking of staying at the Flycatcher. I’m also thinking a car rental is in my future.